Our General Membership Meetings are held at All Saints Parish School (room #1) in Etna, PA. Parking is available across the street from the school and on the street. Typically, lunch begins at 11:30AM and is followed by our meeting at 12:15PM. View minutes from our last meeting. OUR BIG EVENT WILL SOON BE HERE!!! 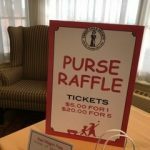 The Christ Child Society of Pittsburgh will hold a benefit Red Wagon Fare on Saturday, April 27 at 11:00 a.m. at the Pittsburgh Field Club, 121 Field Club Road, Fox Chapel. This fundraising event supports our mission of meeting the needs of under-served children in the area. The cost is $40.00. Along with our luncheon, we will have a Basket Auction, Purse Raffle, Silent Auction, Basket of Cheer raffle, 50/50 raffle and a Grand Prize raffle of $1000.00! For information or reservations, please contact Marian Flowers at [email protected] or 412-897-5420. Please join us for a fun afternoon and a great cause! AND THE NATIONAL DAY OF SERVICE AWARD GOES TO… PASADENA!!! Pasadena partnered with a local parish’s religious education program. 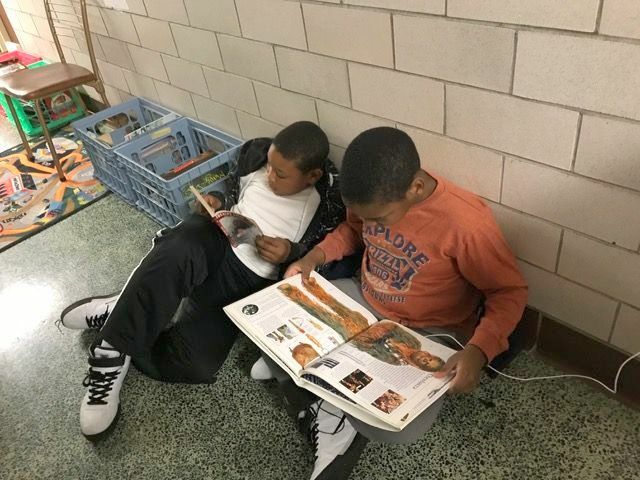 Volunteers read two Halloween themed books, did a craft based on one of the books, shared a snack and then helped the kids pick out several books to take home (thanks to an Amazon virtual book drive that was held). 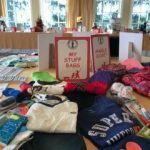 The chapter solicited volunteers from a local girl’s high school which really helped, especially during the hands-on crafting. 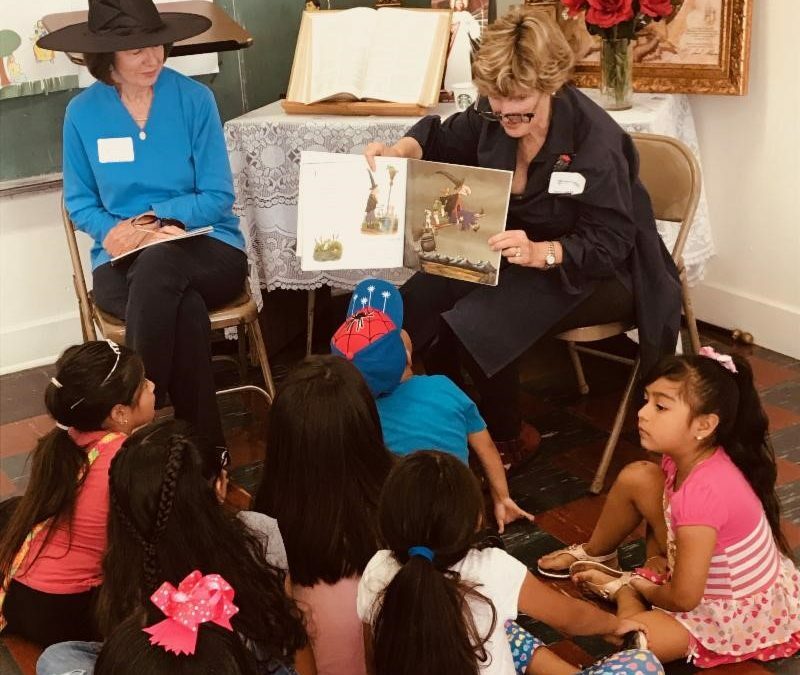 Pasadena was able to get an article about their Read to Me day in the local newspaper along with the archdiocese publication, “The Angelus”. Congratulations Pasadena! 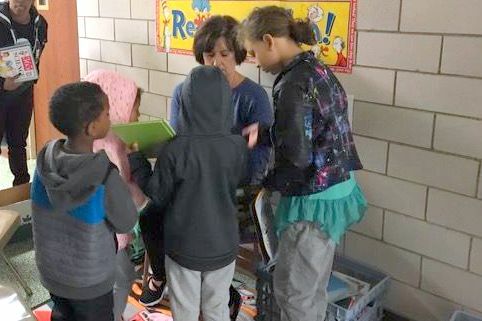 The committee identified one chapter as the runner up – Pittsburgh did a great job adding a literary enhancement to their coat closet distribution with a book nook and book give away. 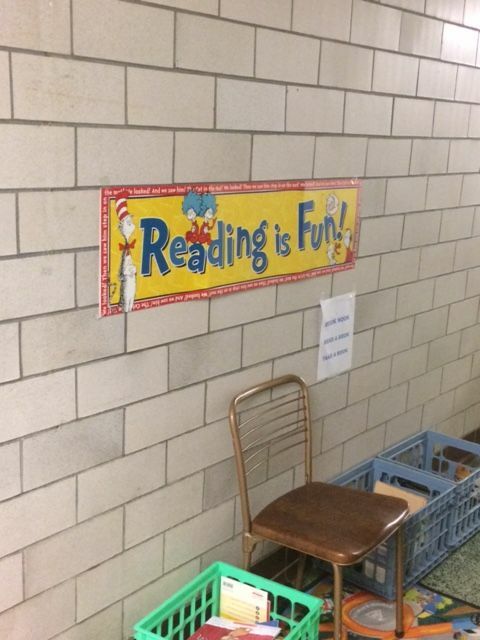 And, as a surprise to the committee (and in the spirit of the season), Pasadena graciously offered to split the prize money ($500) with Pittsburgh, in order to advance their future literacy program efforts. Thank you Pasadena. That was truly very thoughtful of you!!! Thank you to all those chapters who were able to participate this year. As always, we appreciate all of your efforts, whether on special events or everyday programs. 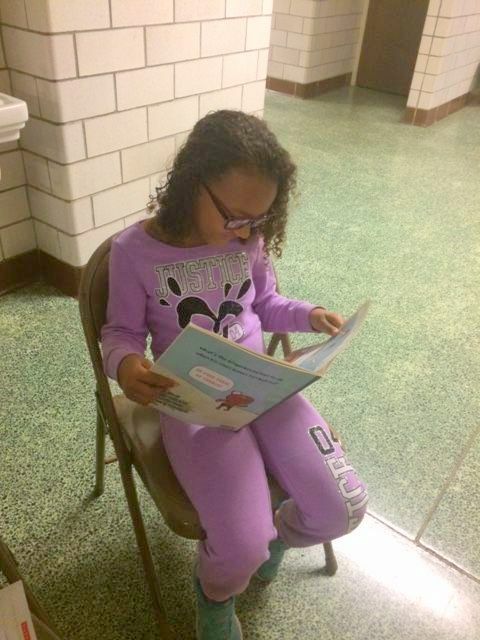 The Christ Child Society of Pittsburgh participated in its National Day of Service- “Make a Difference: Read to Me in conjunction with the annual Angel Closet coat distribution on October 27, 2018. 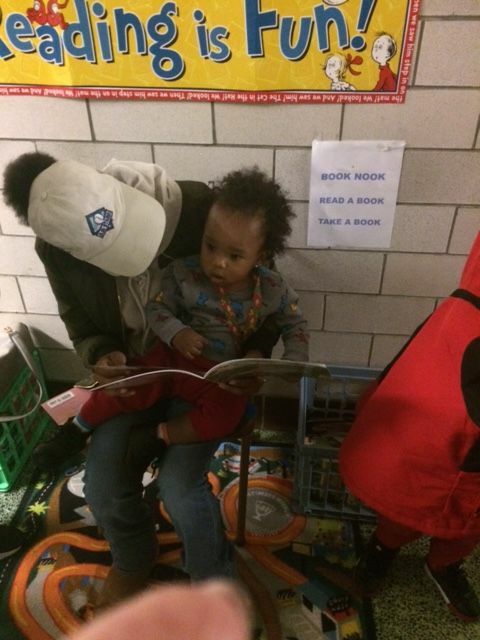 Books and bookmarks were distributed to approximately 60 children that day. 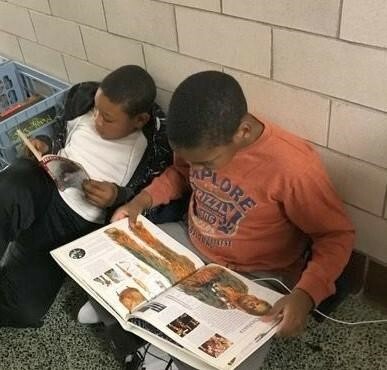 Many children enjoyed reading their books while waiting to be fitted for coats. 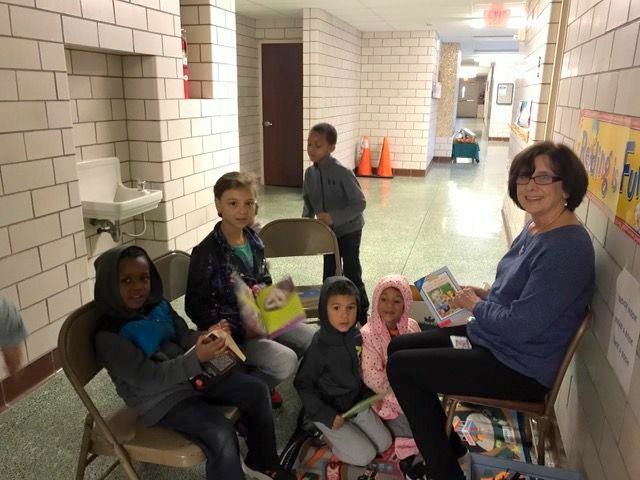 Pictured with the children is Janet Mascaro, current president of CCSP. Save the date! Red Wagon Fare has changed seasons! “Red Wagon Fare” luncheon has moved to the spring. Save the date for April 27, 2019 at the Field Club in Fox Chapel. Join us for lunch and our annual basket auction, money raffles, purse auction, and more! Tickets will go on sale in February, 2019. More information to come!! !